Earlier this week, I was up on the Pinkfresh Studio Blog with a fun Card Trio, and I wanted to stop in and share them with you today! 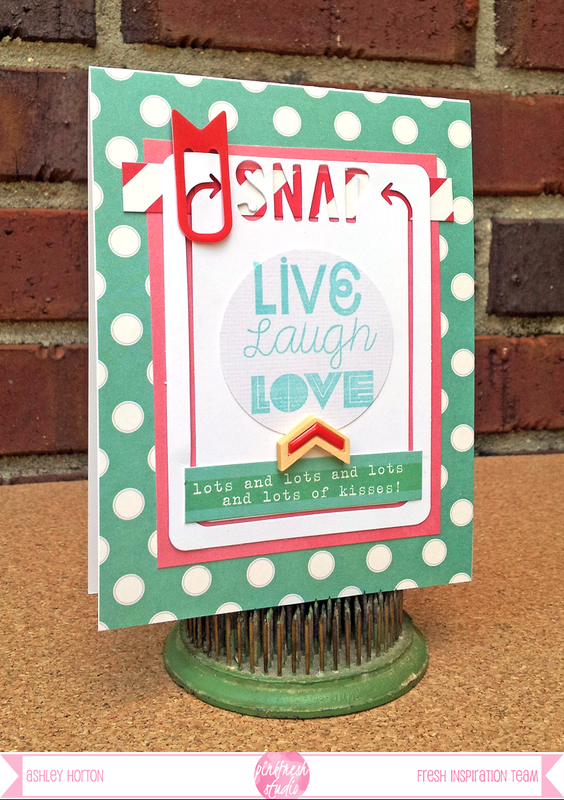 I love that the Pinkfresh products give you so many options whether you are a scrapbooker, project lifer or card maker. Here are the cards I created with my Pinkfresh Studio goodies! 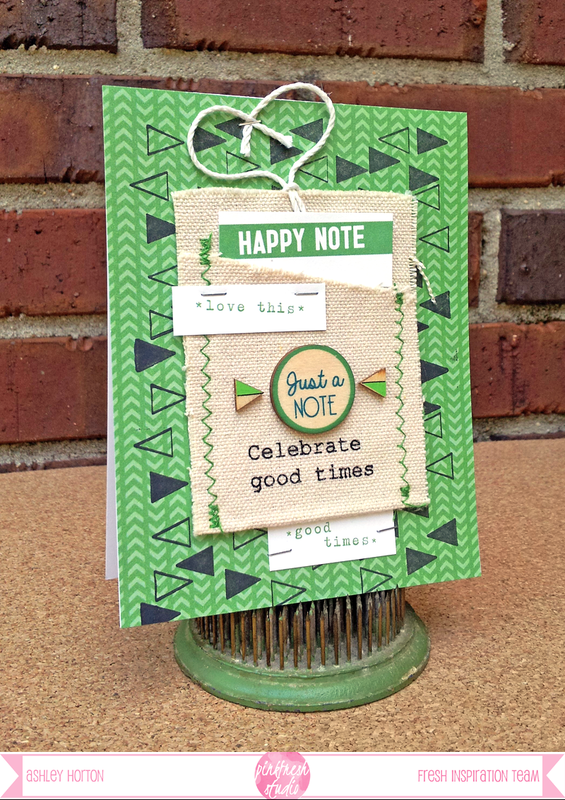 On my first card, I used a mix of stamping and added one of the fun pockets from the Fresh Inspiration Kit. Have you had a chance to check out the awesome new Anya stamp set? 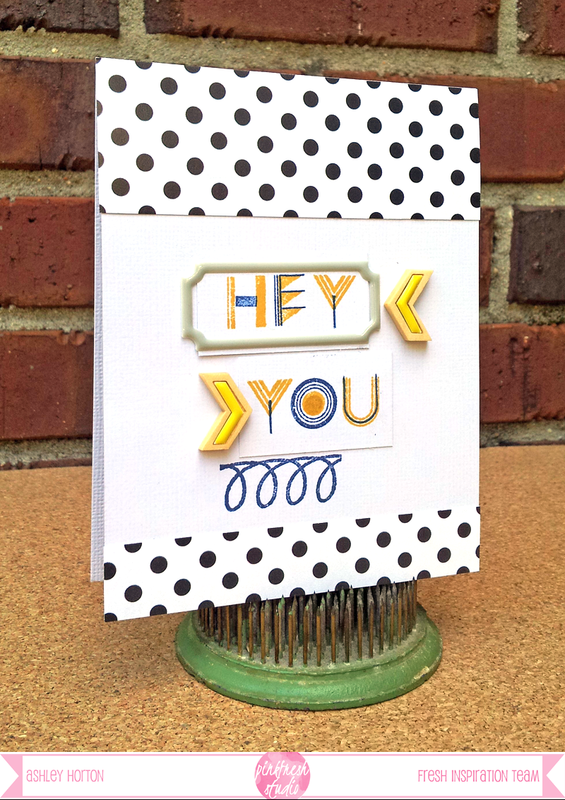 I used them on my second card to create the sentiment, using Navy and Yellow ink. And how awesome are the new Wood Drop Stickers??!! I couldn't resist using them on two out of three of my cards! They add just the perfect touch to any project! Thanks for stopping in today, and I hope you have a great weekend!